Should the Philippines legalise Medical Marijuana? Marijuana is illegal. That is for sure. But how far do we limit the use of this “drug” if there are proven medicinal benefits to its use? 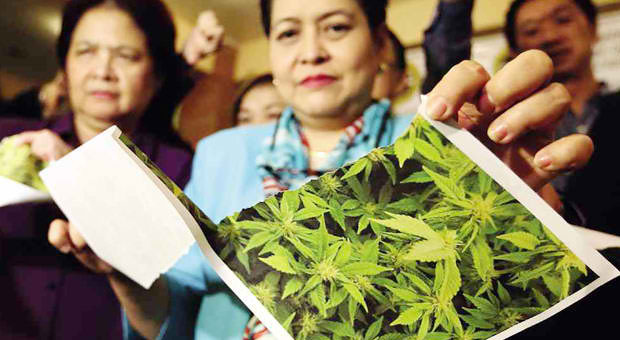 This is being debated over in the Philippines as some parents of children suffering from epilepsy request for the government to pass a bill legalising the use of marijuana in the medical field — especially now that there are reports stating that marijuana when used medicinally can cure symptoms of certain diseases like HIV and epilepsy amongst others. In fact, this practice has been approved in over 21 states in the US and some countries in Europe. One psychedelic drug that is currently on clinical trials in SF Bay Area is ecstacy, also called as MDMA, originally known as a recreational drug. The American FDA initially does not find therapeutic effects in this drug, however, it is believed to give the “feeling of love and caring” according to Dr. Phil Wolfson, the lead of the 15-month clinical trial of prescribing ecstacy to dying patients in San Francisco. This is related to what the US FDA spokesperson, Sandy Walsh said. She argued that she thinks that the American FDA has an obligation to do as necessary to further understand these drugs’ positive impact medicinally such as allowing clinical trials to proceed, if a drug can work for a disabling condition and can be labeled to be used safely to a population. Knowing that such measures can be applied if ever this practice would be approved, some people, both from the church and the government, believe that it can help improve patient care and bring on progress and better control to lifetime illnesses, thus policy makers should consider medical marijuana legalisation.